Hektor and Felix joined us for the Summer of 2015 when their mother, Julie, found herself suddenly let down by her usual childcare provider. Julie knew about First Steps as she works at Chichester College and drives past the Brinsbury nursery each morning. Hektor and Felix love nothing more than playing outdoors and getting involved with nature and building camps. First Steps at Brinsbury is set in 500 acres of countryside so there was no shortage of this for these two here. 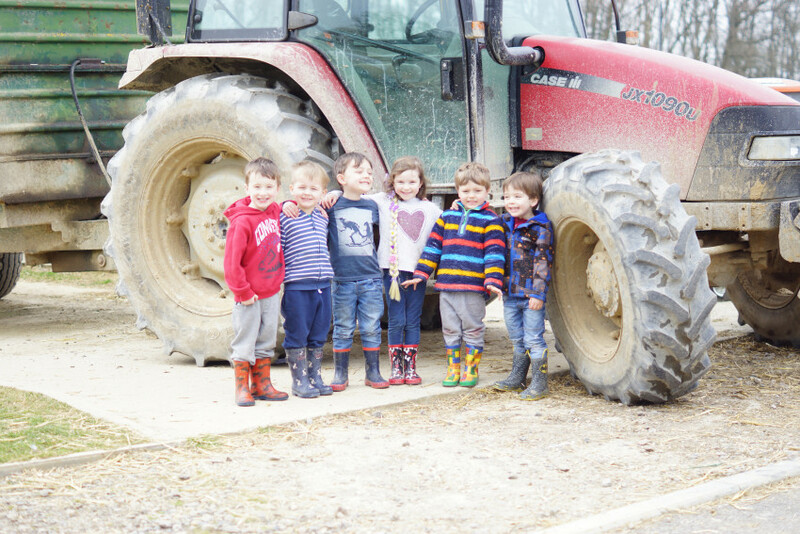 They also loved the messy play, frequently getting wet, muddy and covered in paint, things many parents are reluctant to do in their own homes but we love it! Julie found the upheaval of moving childcare arrangements hard for the whole family but we helped the boys settle in and they formed a close bond to their carers really early on which reassured Julie when she had to leave them each morning. Our team kept in touch with Julie letting her know how the boys were doing and updating her fully when she arrived to pick them up at the end of the day.